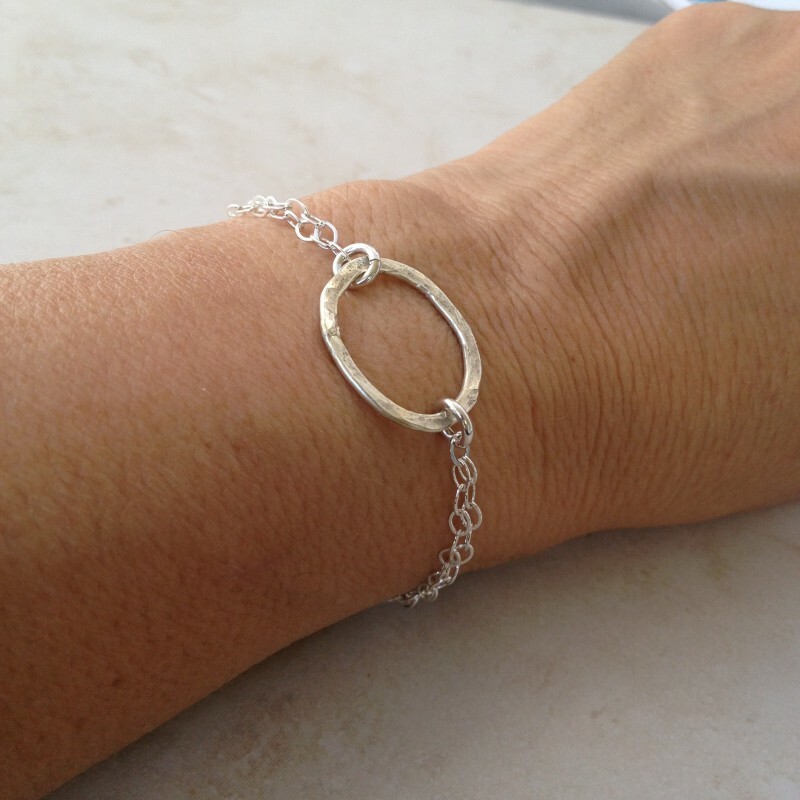 Sterling silver dainty bracelet with a center handcrafted heavy gauge circle. 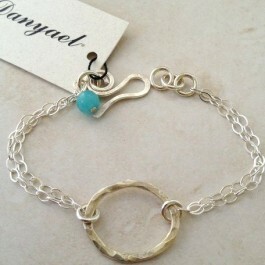 Handcrafted and hammered irregular heavy gauge sterling silver circle is the center of a dainty and delicate bracelet. 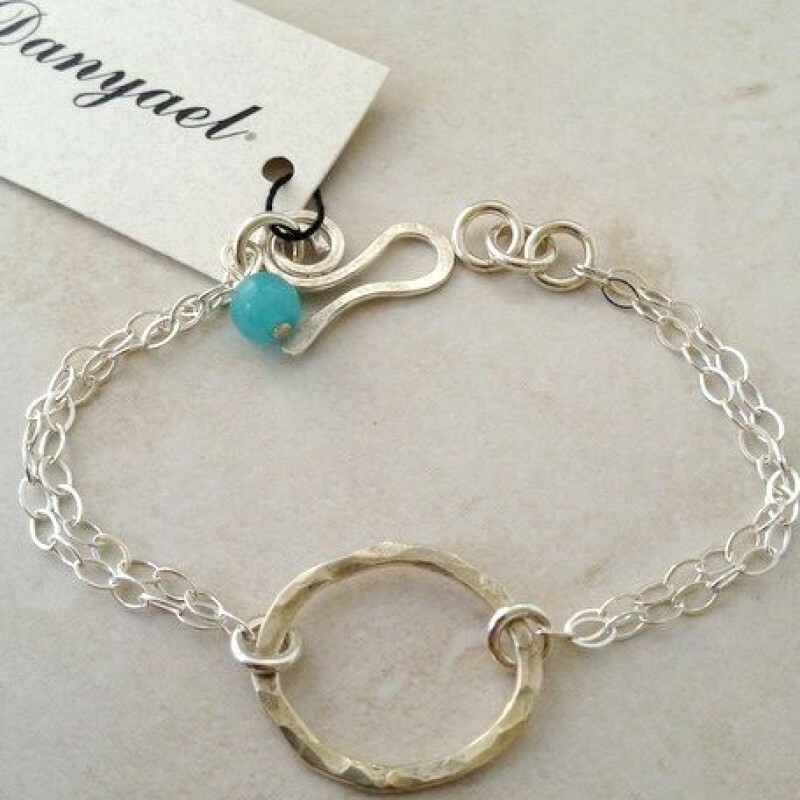 Two rows of sterling silver chain flank the circle. A small ruby hangs from the handmade clasp. Comfortable and beautiful for everyday and special events. Hoop is about 7/8" . 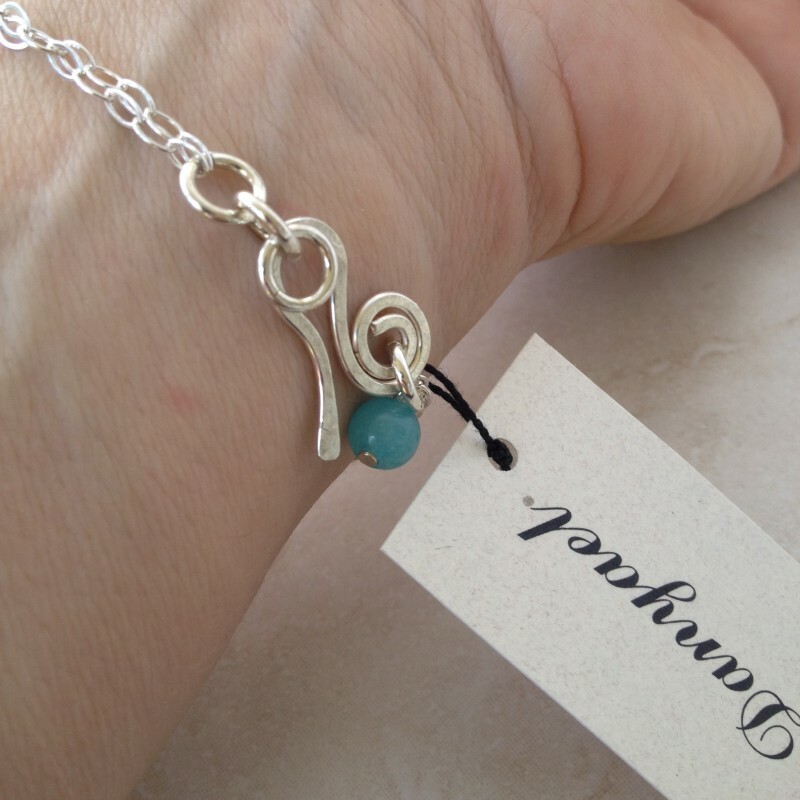 Length of bracelet is 6 1/2"-7 1/4" .